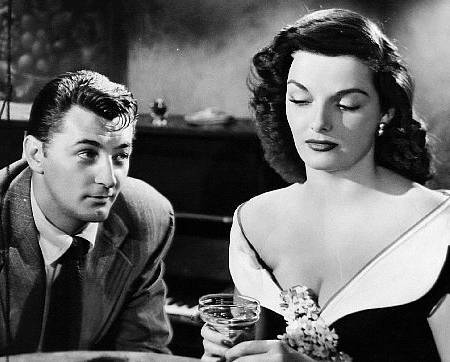 Both of these films rely on the chemistry between Robert Mitchum and Jane Russell. Physically, they were larger, more exaggerated, more, er, robust, than any pair of actors on the screen at the time. Both conveyed a sense of insolence, even ambivalence to the proceedings at hand. Macao is easily the more conventional of the two films–with a story that was designed to be out of your head a few minutes after you left the theater. Don’t take it from me. Take it from the New York Times’ famous grouch, Bosley Crowther, who wrote: “Macao a flimflam and no more—a flimflam designed for but one purpose and that is to mesh the two stars. The story itself is pedestrian—a routine and standardized account of a guy getting caught in the middle of a cops-and-robbers thing.” Sounds like just about every Ryan Reynolds/Sandra Bullock movie at the multiplex, right? The most interesting thing about Macao, beyond watching Mitchum and Russell case each other over greedily, is that it was the film in which Josef von Sternberg was fired by RKO’s Howard Hughes (who masterminded Russell’s career). Von Sternberg was replaced by Nicholas Ray, who worked with Mitchum to try and help the film make sense. Macao’s cup runneth over in another way: Not only does it feature Russell, but the sublime Gloria Grahame. But if Macao struggled to make sense, His Kind of Woman runs off the rails completely. I can’t recall a classic-era film that ended up surprising me so much. While the first part of the story involves sort of a noirish set up–Mitchum is a California drifter sent to Mexico as part of a complicated scheme to stand in for a gangster. But the second half turns into farce, as delusional actor Mark Cardigan (Vincent Price) literally hijacks the film. (Indeed. Russell almost vanishes, at one point being locked in a closet.) 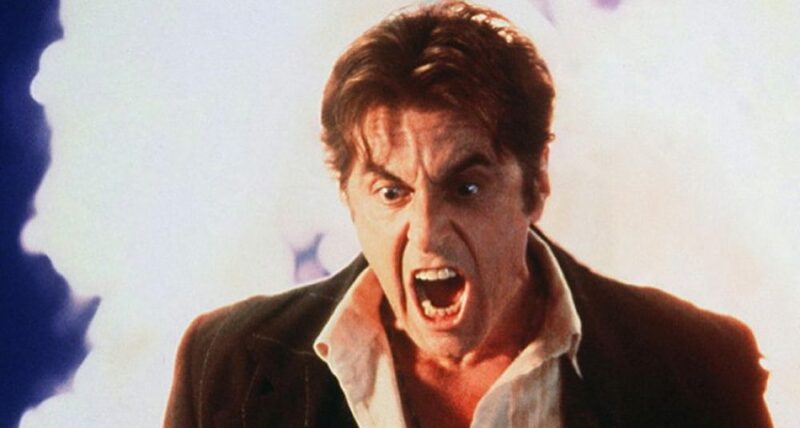 Price’s comic portrayal of an actor who chooses to live a dramatic life rather than remain an actor turns the film into something that would become a staple of modern films, the self-aware action comedy–with some lurid scenes of torture mixed in. (Tarantino anyone?) This was no flimflam. It was prophetic. Both films know what they have in Russell and conspire to keep her in tight-fitting gowns as much as possible. She was no actress–but paired with Mitchum, she didn’t have to be. She just had to appear game for anything, his kind of woman. The final shot of the film has them kissing while an iron burns his pants. Hitchock wasn’t the only one who could end films with sexual metaphors. This entry was posted in Chemistry Sets, From the Queue by James Oliphant. Bookmark the permalink.